Ferrari World Abu Dhabi, the first Ferrari-branded theme park in the world, opened its doors to fans in November 2010. The Park celebrates the spirit of the legendary marque, and is home to numerous thrill rides, family-friendly attractions, state-of-the-art simulators, entertaining live shows, as well as popular seasonal festivities that bring together extraordinary performances from around the globe. Ferrari World Abu Dhabi is home to the world’s fastest rollercoaster, Formula Rossa, as well as the triple record-breaking rollercoaster, Flying Aces. It also offers guests a range of Ferrari inspired family experiences that include Benno’s Great Race, Karting Academy, Junior Training Camp, Driving Experience, Fiorano GT challenge, Scuderia challenge, shopping and dining experiences and much more. Ferrari World Abu Dhabi is located at the heart of Yas Island, the premium leisure and entertainment destination in the UAE. Yas Waterworld Abu Dhabi is the UAE’s unique Emirati-themed waterpark, inspired by the country’s rich heritage of pearl diving through its unique story of ‘The Legend of the Lost Pearl’. The mega waterpark is home to more than 40 exhilarating rides, slides and attractions – five of which can be found nowhere else in the world. 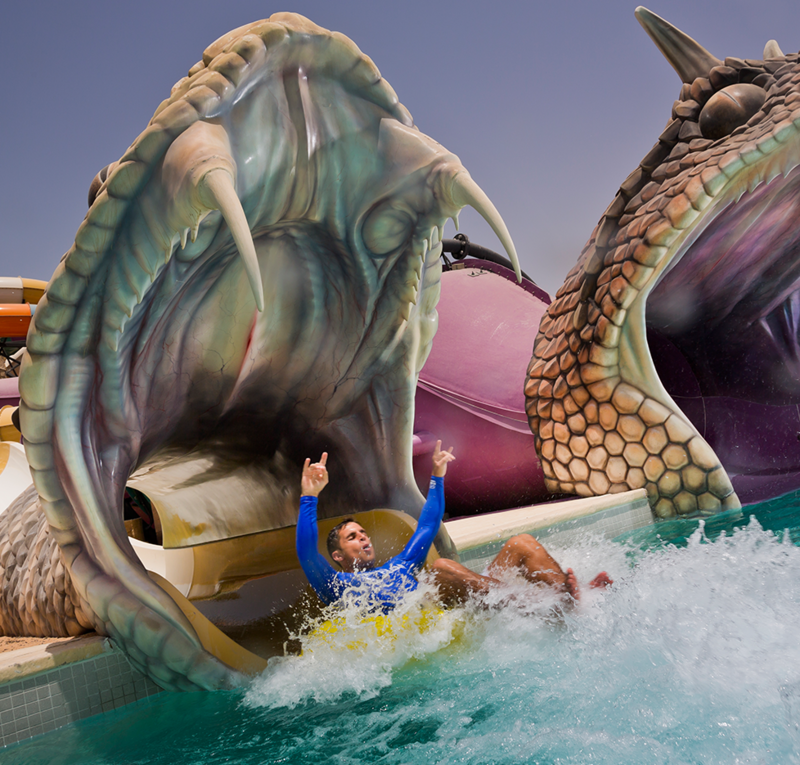 With rides and experiences on offer to thrill both the young and the young at heart, the waterpark plays host to Liwa Loop – a high-intensity looping waterslide, as well as the globe’s first interactive water and laser rollercoaster, Bandit Bomber. 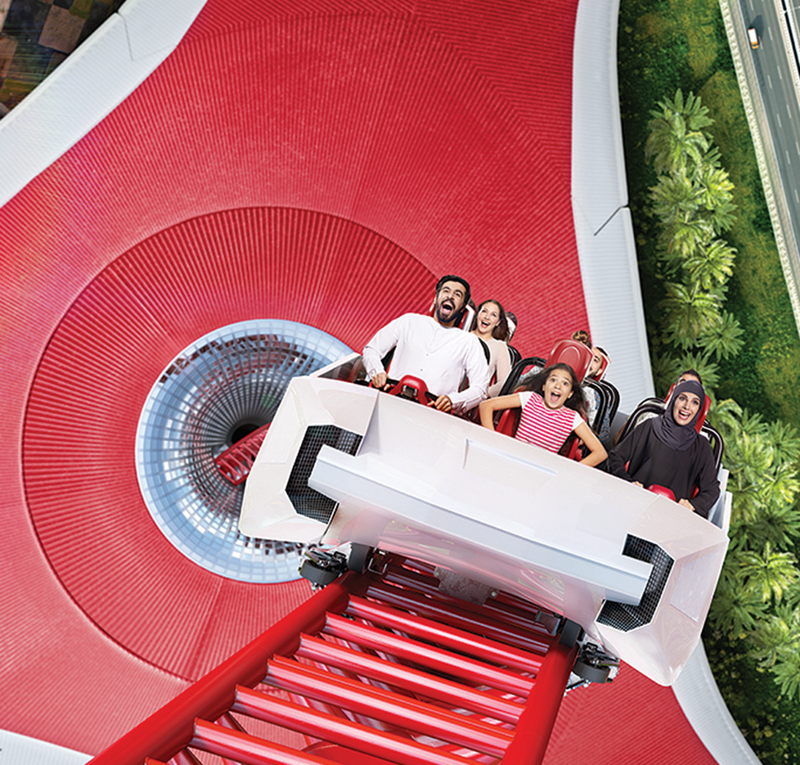 Now in its fourth year of operation, the park boasts more than 19 industry awards and accolades, including the Certificate of Excellence and Travelers’ Choice Award by TripAdvisor, the world’s largest travel site, for the third consecutive year in 2016, as well as being ranked #4 in the Leisure & Entertainment Category in the 2015 YouGov BrandIndex UAE BestBrand Rankings. With its grand opening in 2018 on Yas Island, Warner Bros. World™ Abu Dhabi features six immersive lands: Metropolis and Gotham City, inspired by the universe of DC Super Heroes and Super-Villains; Cartoon Junction, Bedrock, and Dynamite Gulch, themed after iconic animated properties such as Looney Tunes and Hanna-Barbera; and Warner Bros. Plaza, reminiscent of old Hollywood, where these seminal characters and stories were originally brought to life. 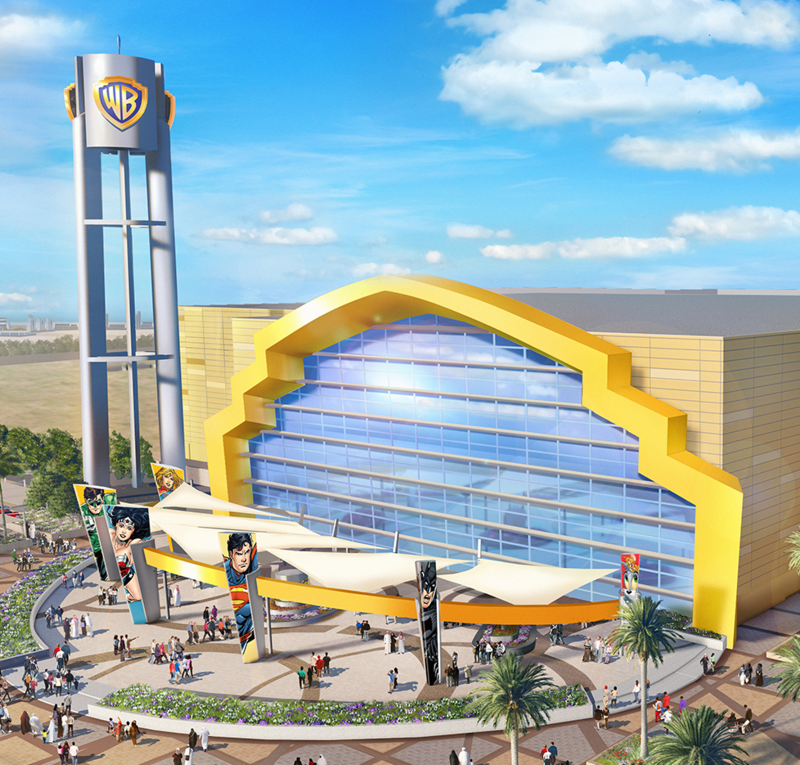 Warner Bros. World™ Abu Dhabi, will be a one-of-a-kind, world-class destination and home to 29 state-of-the-art thrill rides, interactive family friendly attractions, and unique live entertainment. The theme park also includes retail outlets featuring a wide collection of merchandise inspired by Warner Bros. franchises as well as a full range of dining options from full-service sit down to grab and go. From the action and adventure of DC to the wacky and wonderful world of Looney Tunes, this immersive and interactive new indoor experience brings some of the world’s most popular stories and characters under one roof including: Batman, Superman and Wonder Woman as well as Bugs Bunny, Scooby-Doo, Tom and Jerry and The Flintstones amongst others.